In the late 1970s and early 1980s, digital games were almost exclusively designed to appeal to male players. Many arcade machines advertised with muscle-bound decals of well-known action stars modelled after Arnold Schwarzenegger from Terminator. Women, if they appeared at all, usually had a more passive role to play. German games journalist Nina Kiel explored gender-specific role models in contemporary action-adventure games in her book Gender in Games(2014). In an interview she detailed the roles allocated to women: “[they] can be victims, trophies, or possibly romantic interests. But they take part in the action less often than men.” A brief look at the history of gaming confirms Kiel’s assessment: Even in classics like Donkey Kong (1981) and Super Mario Bros. (1985), the goal has always been to save a woman from an evil creature of some kind. Females served as decorative accessories, the object of desire, or the spoils of the game. There were exceptions, if very few. 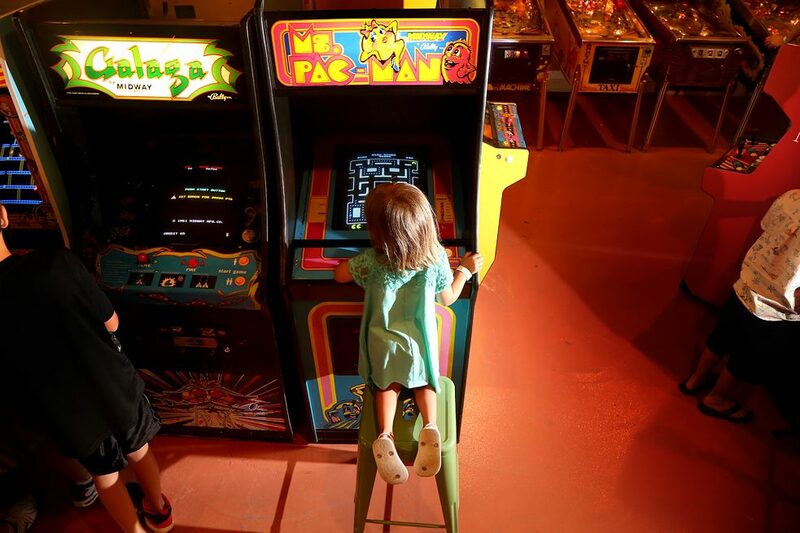 One of the first heroines appeared in 1981 in the Ms. Pac-Man arcade video game. The titular protagonist was a yellow ball like her presumably male predecessor, but with a beauty mark and pink ribbon. And anyone who completed all the levels in the 1986 Metroid video game in less than two hours was treated to a gender-bending surprise when the central protagonist Samus Aran, clad in a neutral space suit up to that point, suddenly appeared in a bikini. Only then did most players realize that the hero of the game was a woman. In 1990, The Secret of Monkey Island adventure game established a new type of female protagonist: Elaine Marley was sharp and clever and completely defied the clichéd damsel in distress trope. As the governor of a pirate island, she did not sit around waiting around for a saviour, and took her destiny into her own hands instead. And while she was not a playable character, she still contributed to important plot points. The humorous game probably would not have worked without Elaine standing her ground in the harsh world of the pirate. To this day, martial arts games pit quick-witted and quick-fisted female characters against male protagonists, and well-known franchises like Street Fighter and Tekken have featured strong female characters. According to Nina Kiel, however, these represent “a strongly sexualized representation of femininity”. Boyed by this success, the games industry created additional female protagonists along the same lines. Jill Valentine (Resident Evil, 1996) and Cate Archer (No One Lives Forever, 2000) were skilled and quick-witted, but sexualized to a ridiculous extent. They grew increasingly idealized from one instalment of the series to the next. The Heavy Metal F.A.K.K. 2 action game released in 2000 took it one step further, creating a provocative heroine, the embodiment a starlet of the adult film scene, who went on to a brilliant side career as a virtual cover girl for game magazines. These sexualised characters perpetuated a marketing strategy that targeted men, despite that fact that growing numbers of women were joining the game universe. More than half of the consumers who bought Tomb Raider were female, but the industry continued to see women as a marginal and inconsequential. It was not until game sales dropped precipitously in the 2000s that the gaming industry began to take its female players seriously as a target group. At first, the stereotypical portrayal of women’s characters continued unabated even while public debate and controversy around them increased. In a multi-part YouTube documentary in 2014, media critic Anita Sarkeesian analysed role models in digital games from a feminist perspective. Her approach clearly hit a nerve, as she was able to crowdfund her project to the tune of 150,000 US dollars. In her videos, Sarkeesian criticized the sexist portrayal of female characters and the fact that they served only as decorative accessories for male protagonists. The backlash crystalized into Gamergate, a passionate discussion on the portrayal of women in games and the limits of journalistic ethics that continues to this day. Only in recent years have game makers largely abandoned their idealized representations of women. Instead of exaggerated ideals of beauty, they now attach more importance to depth of character. The once iconic Lara Croft underwent a reboot in 2013. 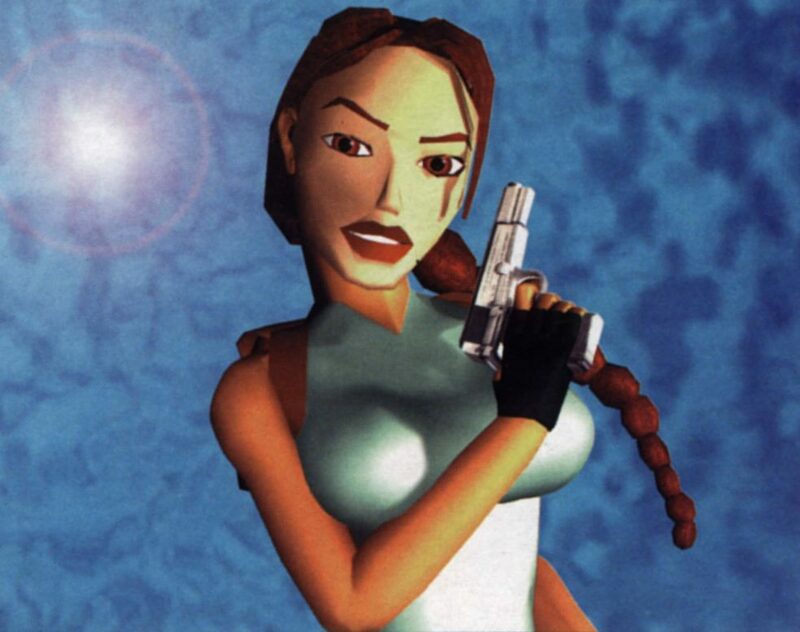 The new Tomb Raider was designed as a prequel to the first game and sheds light on how Lara Croft developed into the person the gaming world met in the 1990s. Benedikt Plass-Fleßenkämper is a freelance journalist and owner of the plassma media agency. He writes for publications such as Spiegel Online, Zeit Online and WIRED Germany. He blogs about games and the gaming industry on spielejournalist.de. Copyright: Text: Goethe-Institut, Benedikt Plass-Fleßenkämper and Daniel Wendorf. This work is licensed under a Creative Commons Attribution – Share Alike 3.0 Germany license.